Beautiful beige and cream patterned Snakeskin Agate tumble stone from Oregon, USA. 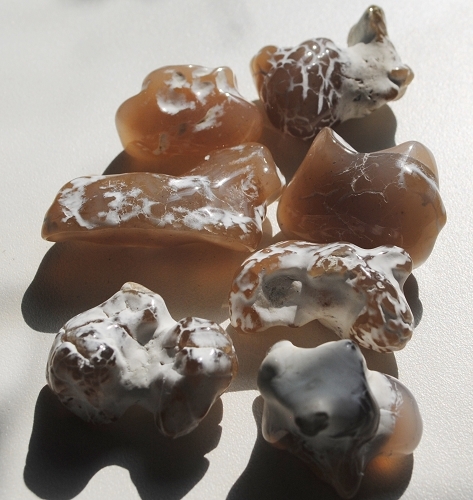 Snakeskin Agate is empowering and provides strength during times of activity. Snakeskin Agate promotes a cheerful point of view coming from a place of inner peace and acknowledgement of the JOY that may be found in one's life. Snakeskin Agate supports the expression of the love of life, self-love and self-acceptance. Snakeskin Agate may be helpful in eliminating mundane worries and concerns. Snakeskin Agate may be used to initiate movement of the kundalini energies up the spinal column through the chakra centers. Snakeskin Agate may be helpful to find lost things or misplaced items. Snakeskin Agate may help one fade in the background and to blend in with a crowd. Snakeskin Agate is an excellent crystal tool for those who like to solve puzzles and mysteries as it helps provide insight to solutions. 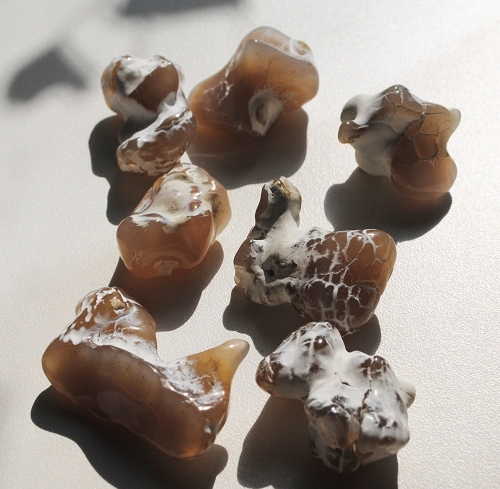 Snakeskin Agate also may provide insight to the character of others. 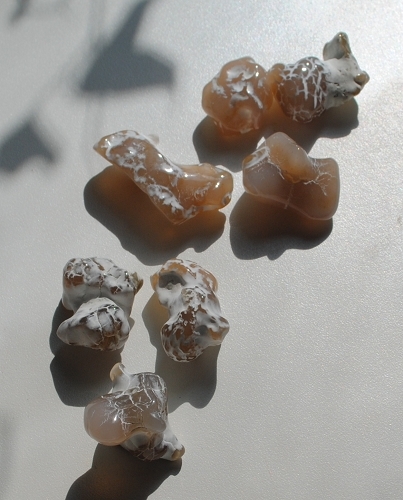 In healing, Snakeskin Agate may be used in the treatment of hearing problems and stomach disorders. 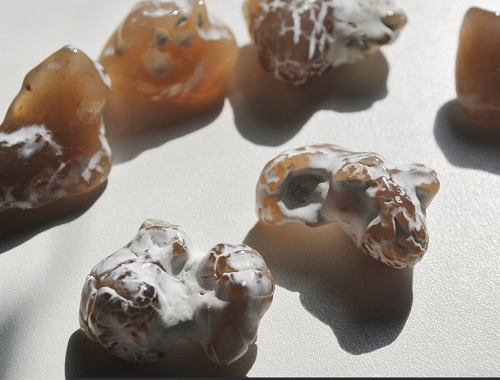 Snakeskin Agate may also be supportive to those trying to diminish skin wrinkles or "orange peel" skin texture.